For a better idea of how to develop its borders, India could learn from China. If one were to look at the discourse and discussion on China globally, India being no exception, it is generally dominated by China’s stupendous rate of economic growth over the past few years and brisk infrastructural development. Invariably, comparisons are made with the poor infrastructure easily seen even in India’s most metropolitan cities. Apart from frequent discussions on these matters, those in the security realm are preoccupied with how China is increasing its footprint in the outside world, including its immediate neighborhood: Southeast Asia, Central Asia and South Asia. While a lot is often written about the strategic and economic dimension of China’s outreach – especially to neighboring countries – it is important to note that this outreach is not kneejerk and reactive. Rather, it is thoroughly considered. Further, sufficient autonomy is given to China’s border provinces, especially with regard to economic diplomacy, with good coordination between Beijing and provincial governments. In fact, during a recent visit to Yunnan it was evident that no approval from Beijing is needed for smaller scale projects between China’s border provinces and neighboring countries. Yunnan has been a frontrunner in making full use not only of its strategic location, but also the autonomy it has in the economic realm. Alongside China’s relative economic autonomy at its borders, it is interesting to note the attitudinal difference between China and India, with regard to border regions. The former is trying to instill pride in residents of border regions about their location, and the fact that they are key players in China’s gateway strategy. In Kunming, the capital of Yunnan, it is common to see references to South Asia and Southeast Asia. One of the key areas of the city is called South Asia Square. Significantly, China is also trying to link border regions by promoting greater interactions between Yunnan and not just its immediate border provinces, but even regions like West Bengal in India, whose capital city of Calcutta is also a twin city of Yunnan. In these attempts, research institutions are also playing a stellar role in assisting the vision of the Chinese government. The Yunnan Academy of Social Sciences over the last few years has been actively engaged in interactions with Indian scholars and is pushing hard for the Bangladesh China India Myanmar (BCIM) Corridor. Most recently, a delegation of political leaders from Manipur also visited Kunming. This is in stark contrast to India where the central government has not deemed it fit to focus even on basic development of many of its border regions which have boundless potential and natural resources. It is important to note that very few journalists, scholars or analysts have paid sufficient attention to the need for a grand strategy for integrating our border regions with neighboring countries. This includes those who believe in free market economics. So while they will push for closer ties with the West, they are reticent about linking India’s borders with the neighborhood. Only a minority of scholars and some far-sighted individuals, including Indian Prime Minister Manmohan Singh, who understand the need to develop the country’s border regions. However, precious little has been done by the central government over the past decade. 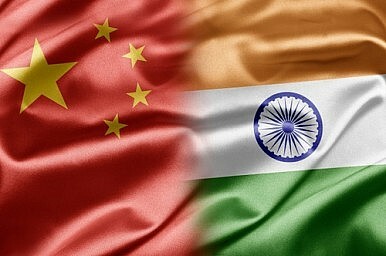 It is time for India to seriously follow the gateway model of China, since a number of the nation’s border-states are blessed with both natural resources and excellent human resources that can act as facilitators in the process. The country also has enough regional chambers of commerce already pushing for greater cross-border trade, which can play a positive role and be assisted by the Ministry of External Affairs. It is time for India’s policymakers “in the belt way” to make connectivity with neighbors an important priority. This will not just contribute to domestic economic growth; it will also add gravitas to its foreign policy. Tridivesh Singh Maini is associated with The Jindal School of International Affairs, Sonepat. India and China's tug of war over the corridor is preventing any progress. To Fend Off China, India Must Galvanize Ties With BangladeshAfghanistan: Prospects and Challenges to Regional ConnectivityPakistan’s Economic Woes: The Way ForwardIndian Elections 2019: Do Narendra Modi and the BJP Deserve a Second Term?Pakistan Revisits the Usefulness of ‘Armed Militias’—For What?